In business, it's good to know who you're working with. It's quite easy for someone to say "I'm a company director", but how do you know you're dealing with a reputable person or company? 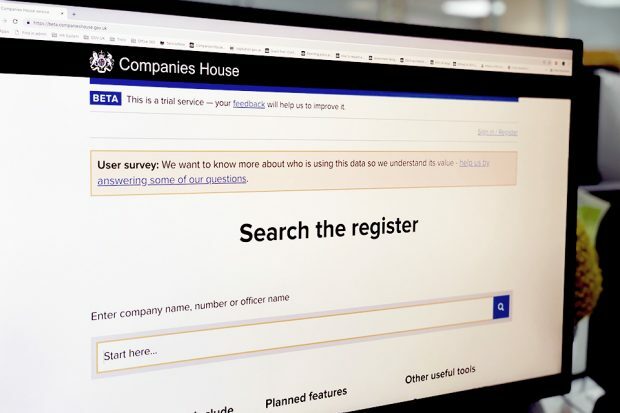 The Companies House Service (CHS) is there for you to check all this information. There's often confusion about what we do with the information that companies give to us. As a registry we're required to make certain information public. When creating a new company or becoming a director, you'll need to supply details such as your address and date of birth. We do not publish your full date of birth, only the month and the year. We will not publish your usual residential address, but you'll need to supply a service address for the public record. This is an address where we (or a third party) can contact you and it does not have to be your home address. Many people will use a service address provider who'll receive and forward any correspondence for a fee. If you use your home address as your company's registered address or your service address, it'll appear on the public record. You can watch our short video that explains what happens to your details on YouTube with captions. They say everyone has a double and over the last few months there has been evidence to back this up. At the end of 2018, actor David Schwimmer (Ross from Friends) was surprised to find himself inundated with messages pointing out the resemblance between him and an alleged shoplifter in Blackpool. David provided an amusing alibi and even posted a spoof video recreating the event. Friends fans also got in on the act by rewording some famous lines from the show's opening tune: "It hasn't been his day, his week, his month or even his beer...". More recently, Manchester City supporter Martin Warhurst was attending a game against Huddersfield, when a TV reporter mistook him for the new Huddersfield manager Jan Siewert. Huddersfield, who had recently sacked their old manager, thought that Jan had sneaked in to assess his new team. Again, both parties saw the funny side by producing a video introducing their new manager, featuring Martin from Wakefield. My all time favourite is Guy Goma. Never heard of him? Guy Goma turned up for a job interview at the BBC and was mistaken for Guy Kewney, a music industry expert who was going to appear live on the BBC breakfast sofa. You've guessed it, Guy Goma appeared live on BBC Breakfast answering questions on a subject that he didn't know. But he did remarkably well. Sadly, he didn't get the job. There was a dude already on my seat. When the guy looked up, I thought 'He looks like me'. Have I got a doppleganger? Well I was watching TV last night and a coffee advert came on. Turned out it was George Clooney. What is a company voluntary arrangement (CVA)?